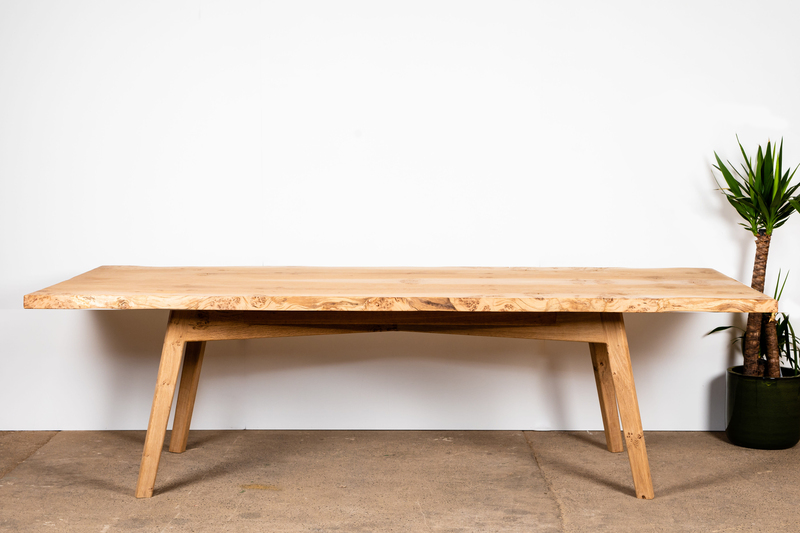 Our latest edition to the Seasons range. 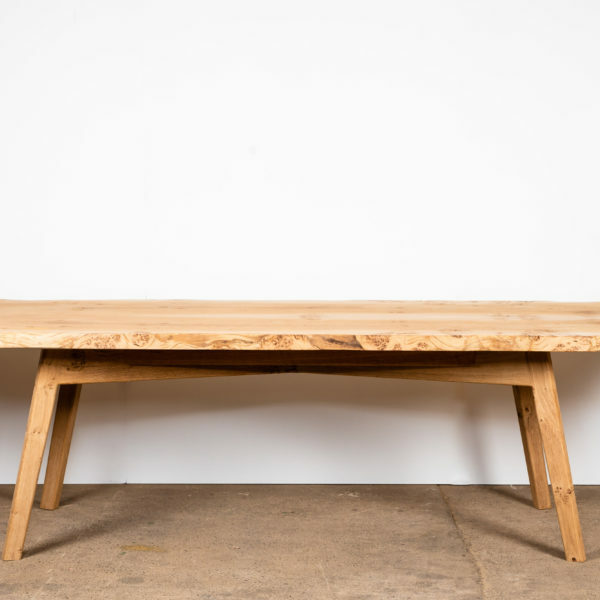 The book-matched symmetry in the top is created by using two Oak slabs from the same tree, creating an effect similar to a butterfly wings. 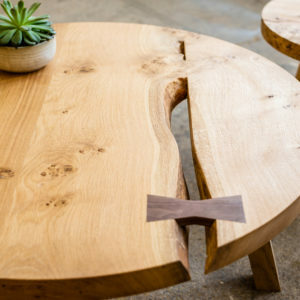 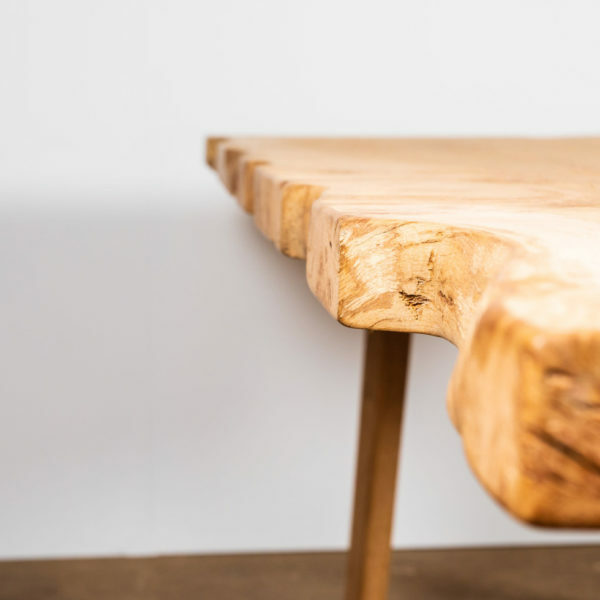 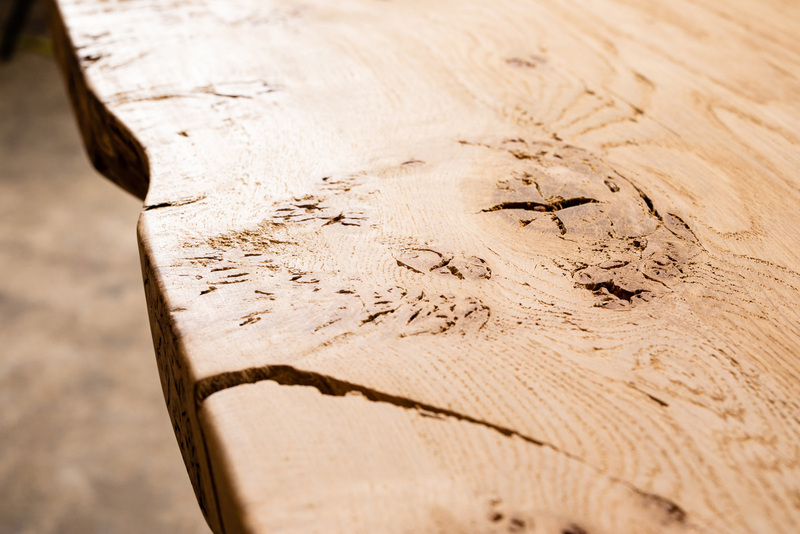 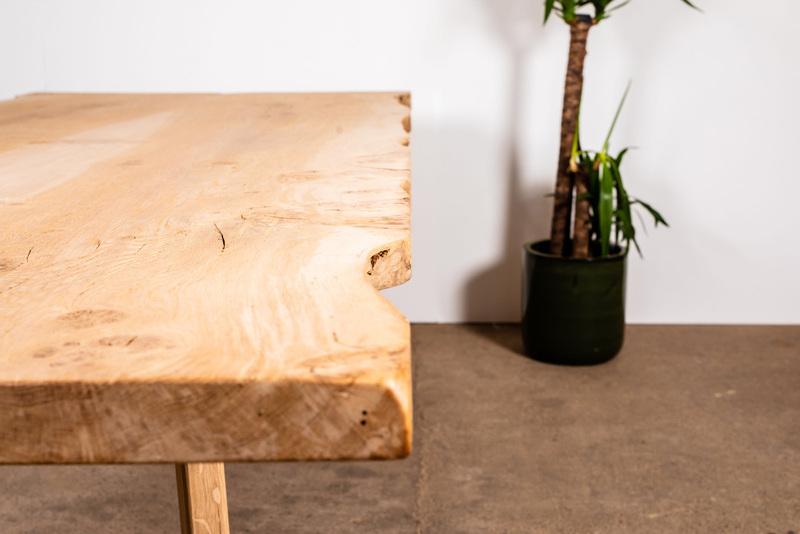 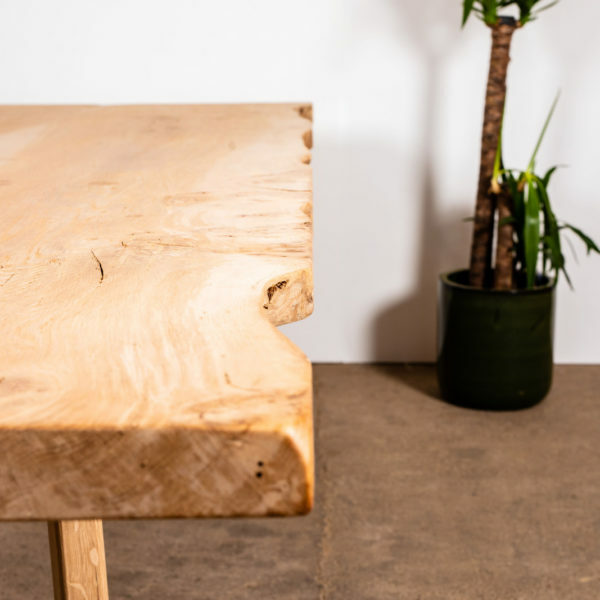 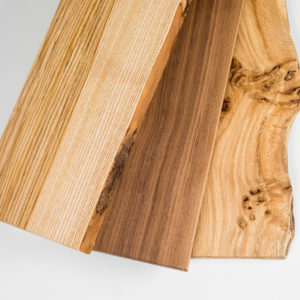 Live edge edges have been cut to create a contemporary shape, whilst preserving the natural flowing shape of the tree. 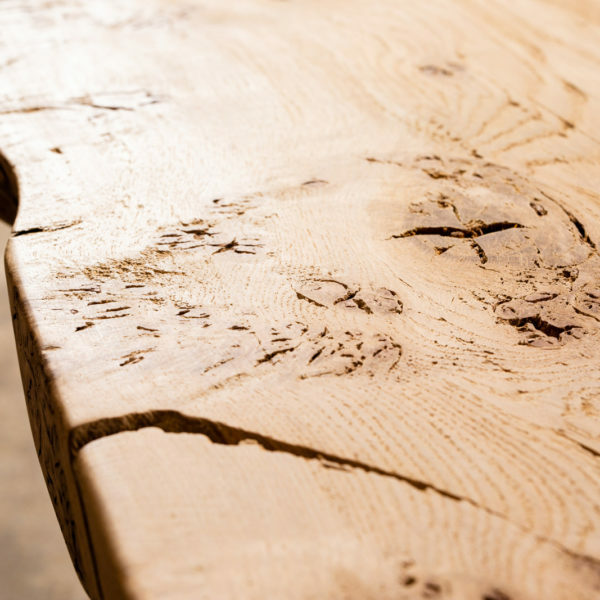 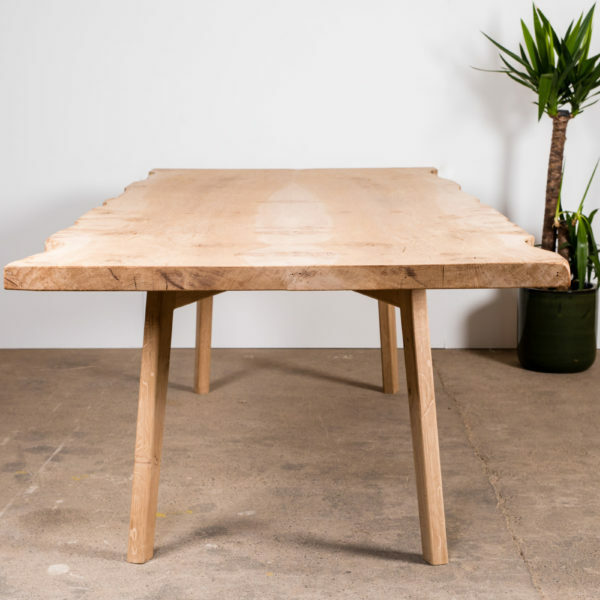 A clean Oak base provides stability and durability to the rustic top. 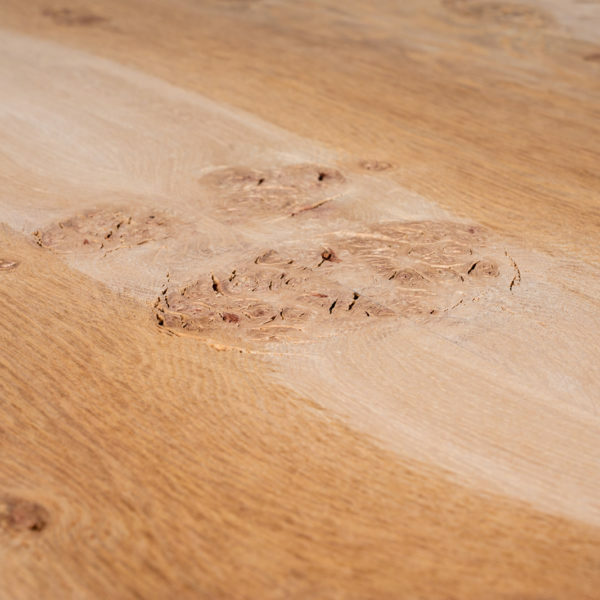 The cracks and knots in this piece have been deliberately left open and unfilled ensuing this piece retains its rustic characteristic. 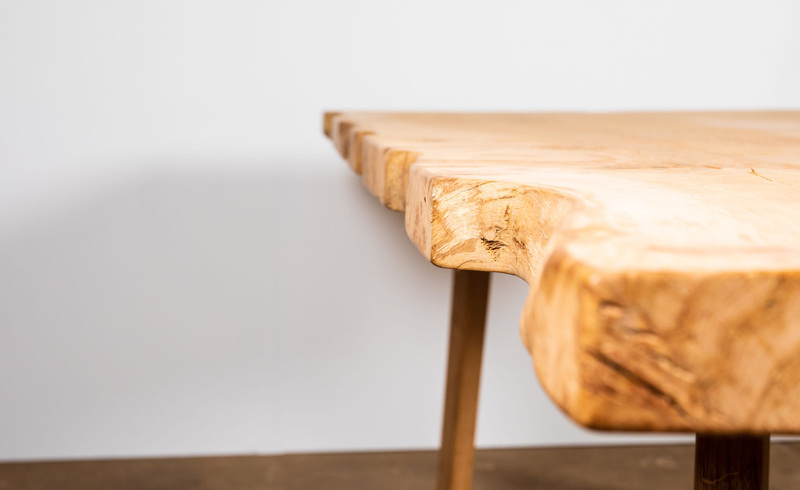 The book-matched symmetry in the live edge top is created by using two Oak slabs from the same tree, creating an effect similar to a butterfly wings. 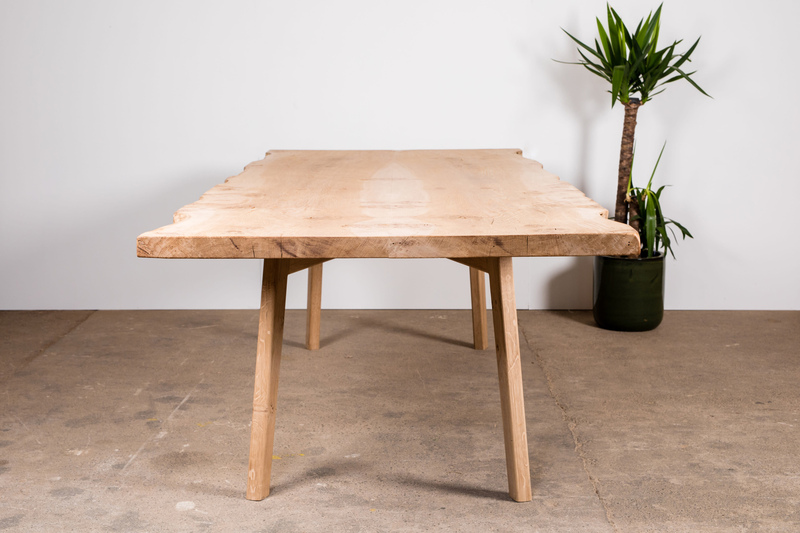 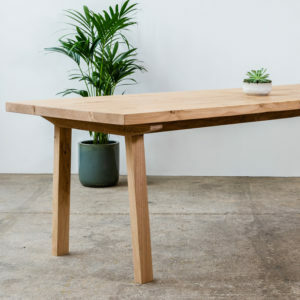 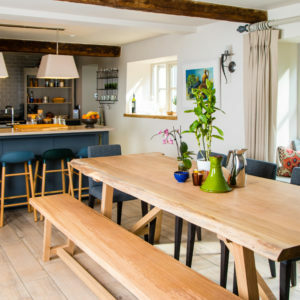 A clean, modern Oak base provides stability and durability to the rustic table top. 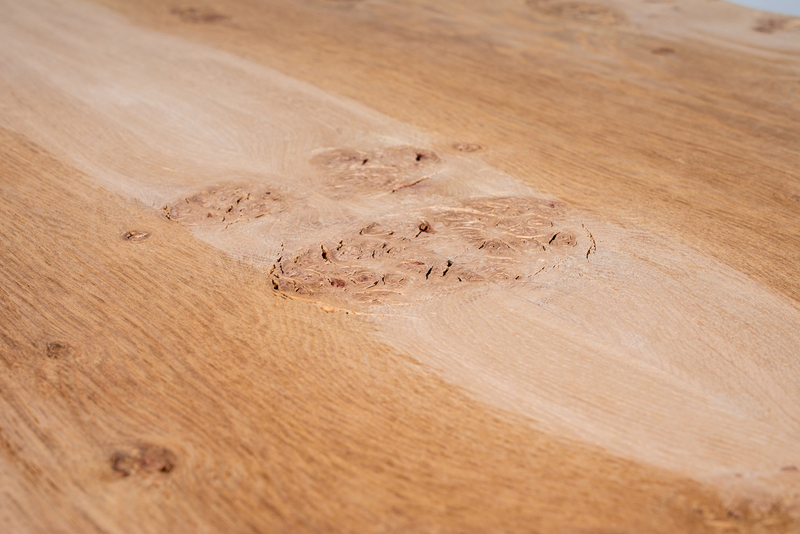 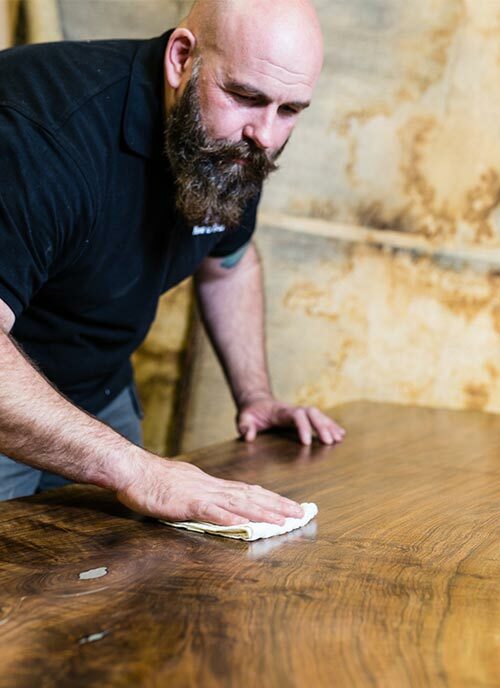 Please note the finish examples act as a guideline only, with each piece of timber varying slightly in tone.